Sakhalin Island is a large island in the North Pacific Ocean, just north of Japan and close to the eastern coast of Russa. 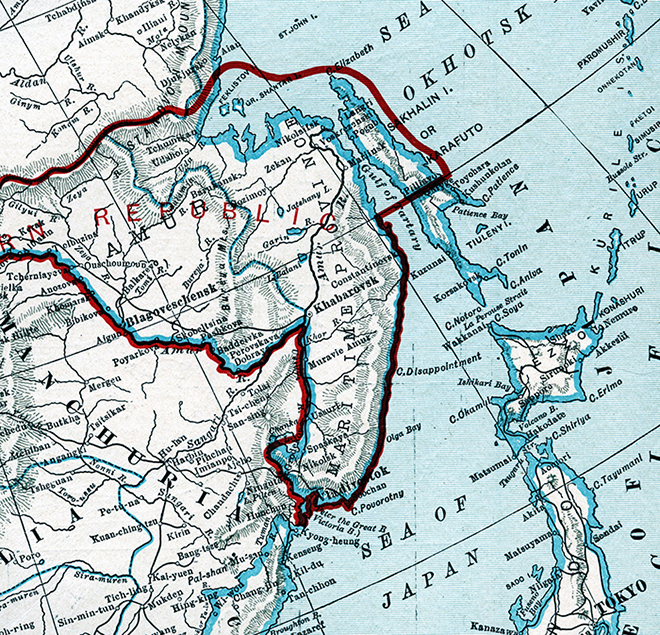 It is owned by Russia, but has historically been the subject of territorial disputes between Russia and Japan. 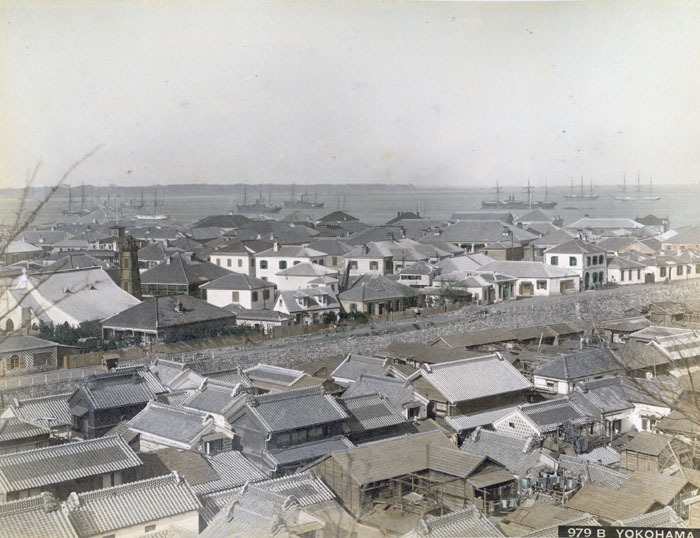 Hand-tinted photograph of Yokohama, in a lacquer album with mother-of-pearl inlay. Book of Japanese photographs. Detail of Sunda Strait and its Approaches chart, showing the strait between Sumatra and Japan. This was one of the most important passages on the route to and from China. 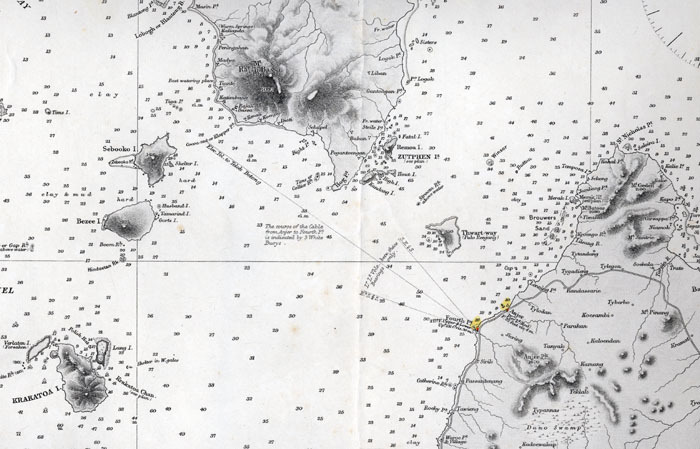 Note the island of Krakatoa, where the volcano blew up in 1883. 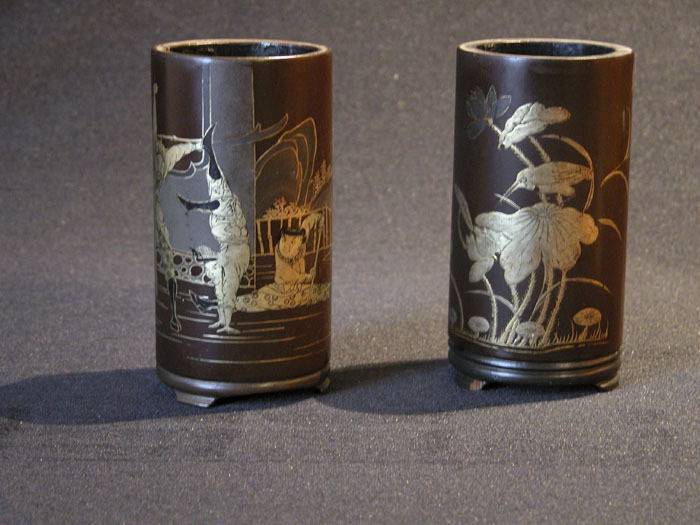 Japanese lacquer decorator vases, with three acrobats done in gold, black and blue. Three feet on base. 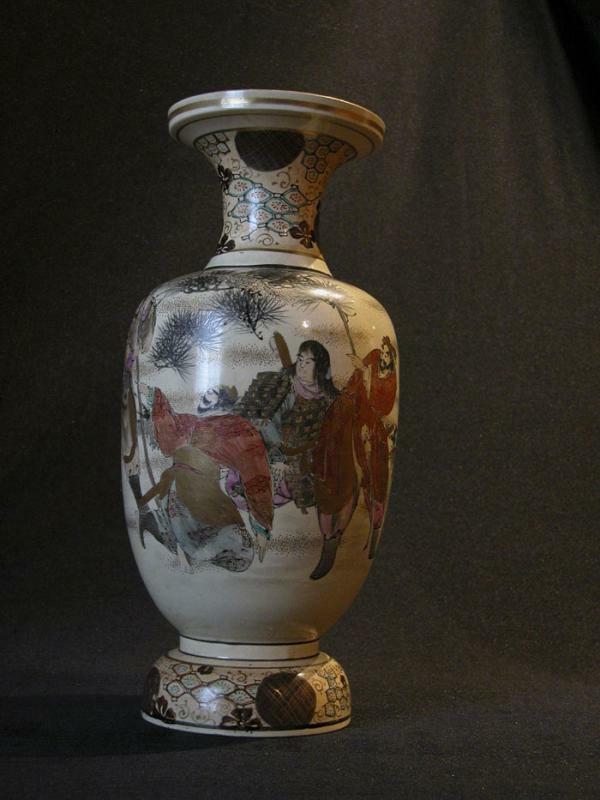 Japanese ceramic vase, decorated with five men in each scene. 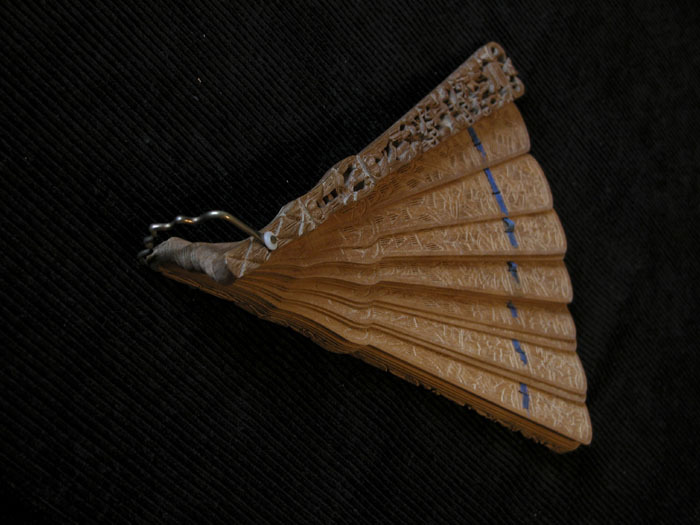 Satsuma. 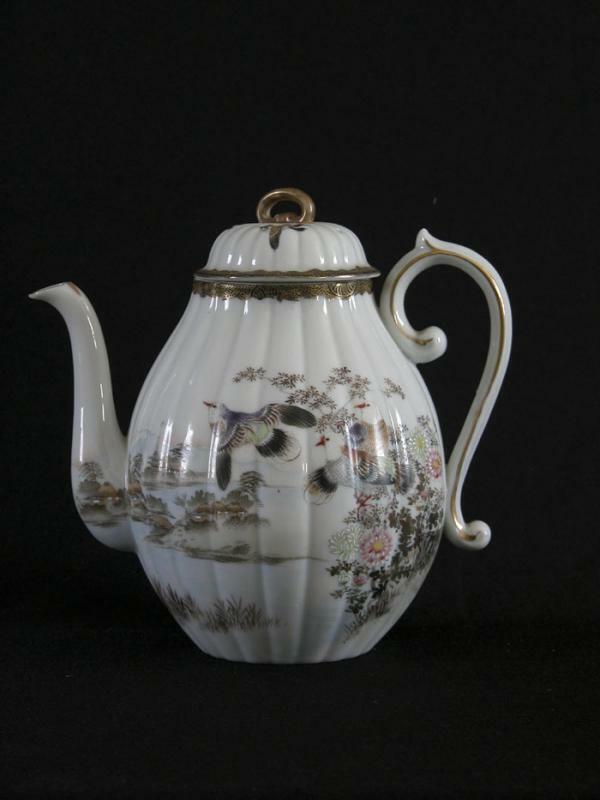 Ceramic Japanese tea pot, decorated with birds, flowers, and a distant town. 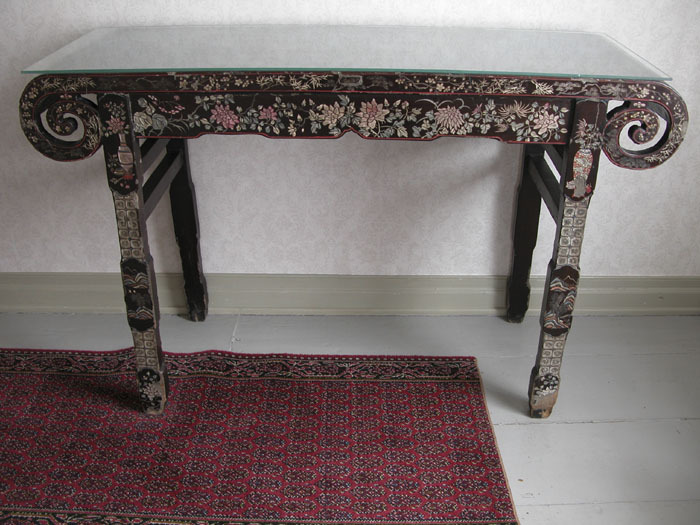 Japanese wood table with intricate colored mother-of-pearl inlays. 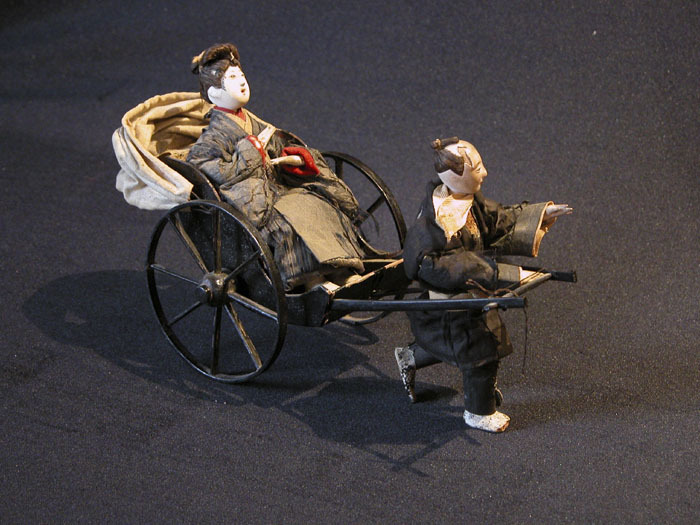 Japanese rickshaw and two dolls, one being a coolie and the other a geisha passenger. These were brought back to Maine by Capt. Everett G. Staples, master of the ship Robert L. Belknap from 1884-1896. The Belknap was a Rockport, Maine built and owned vessel, launched in 1884 for the deep water bulk carrying trades. 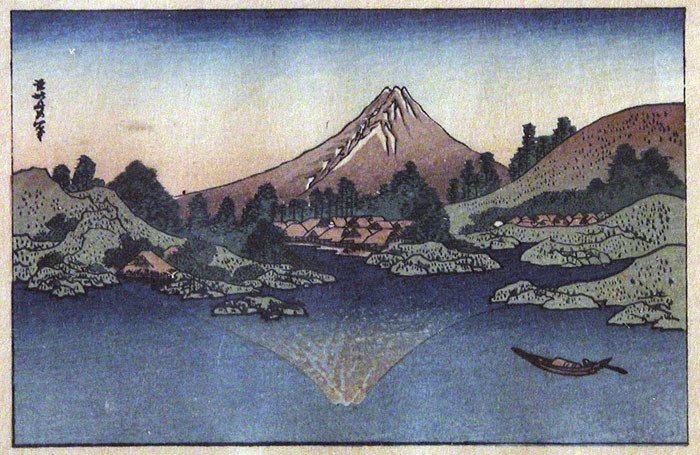 Painting of Japanese landscape with mountain, lake, and boat.